The Esperance Cup Day is the culmination of the racing season in Esperance and is always held on the long weekend in March. The Cup is run over 2000m and has grown over the years to now have $70,000 in prize money on offer. The Cup day also boasts 2 races with prize money of $20,000 and other support races to make a great day of racing to witness. Not only is there action on the turf, but it’s also Ladies Day, which includes the ‘Fashions on the Field’ competition. Kids are also looked after with activities and playground available for them to enjoy. 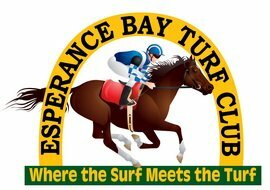 Cup day is the Esperance social event of the year for all the family, so be sure not to miss the fun and excitement. We also want to keep the Conclusion of day sentence at the end as well.